Buckle up for sonic mayhem! 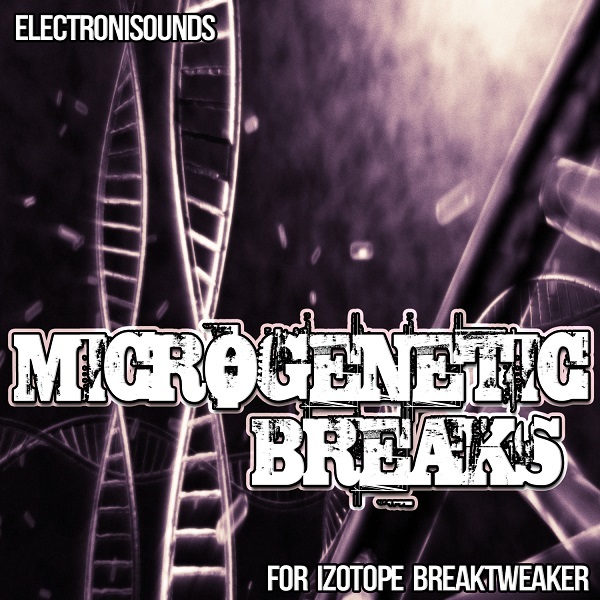 Electronisounds presents MICROGENETIC BREAKS for Izotope BreakTweaker VST. This bank features first-rate, all new sounds and patterns to help get your tweak on! These presets are loaded with hand-crafted melodics & massive drum hits. 143 one-shot hits are included - use them in your own breaktweaker kits or any sampler! There are 20 kits in total - each with 12 variations, for a total of 240 patterns. Each kit has patterns 13-24 available for you to customize and create your own grooves with these sounds.